BinaryOptionsNow – The U.S. Non-Farm Payrolls or NFP data compiled by the Bureau of Labor Statistics is one of the most important fundamental economic indicators, and it is considered a leading indicator of economic performance in the United States. 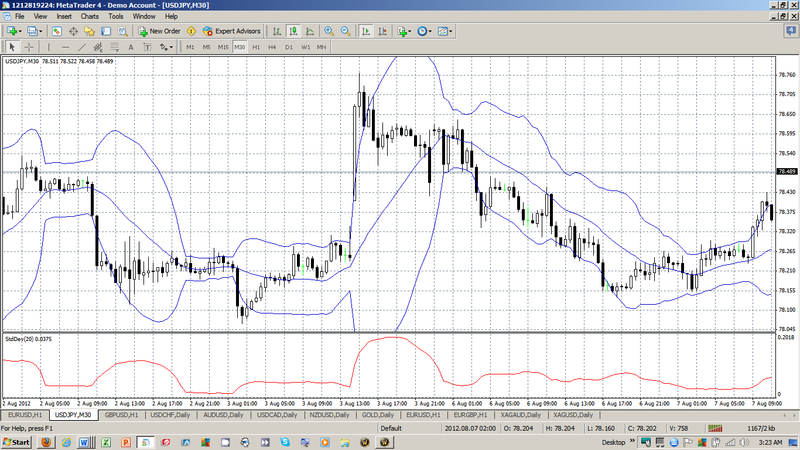 The NFP data is generally scheduled for release on the first Friday after the month being reviewed concludes. It is compiled from information about jobs that were added or lost within the U.S. economy’s manufacturing, production and construction sectors during the previous month. As the name indicates, agricultural jobs are not considered due to their typical seasonal distortions. The release of this key employment data is closely watched by forex traders since it can cause substantial volatility in the currency markets as soon as it comes out. Such extreme volatility can result in stop loss orders getting momentarily triggered, often with substantial and costly order slippage involved. In fact, many conservative forex traders will close out any open positions involving the U.S. Dollar over the Non-Farm Payrolls release in order to avoid being whip-sawed by the often excessive market swings observed immediately after its release. On the brighter side, such wild swings can also create potentially profitable binary option trading opportunities. The following sections will discuss how the forex market reacts to the NFP data, as well as how Up/Down and In/Out binaries can be used to trade the Non-Farm Payrolls number with limited downside risk. In general, when the NFP number comes out, forex market makers quickly compare the headline result to the prevailing consensus among market analysts. If the Payrolls number comes out greater or better than the consensus, then they will bid up the U.S. Dollar relative to the other major currencies. On the other hand, if the Payrolls data disappoints the market by coming out lower than the consensus, then they will offer down the U.S. Dollar. A secondary effect is also often observed when the previous NFP result is revised upwards or downwards from what was formerly announced the prior month. Most forex market makers will net this revision with the difference observed for the current month versus the market consensus to arrive at an overall variation compared with expectations. If the overall variation is positive, they will mark up the Dollar proportionately, but if it is negative, they will mark down the Dollar. Nevertheless, since it takes a bit longer for this netting calculation to be made, the forex market can rapidly swing one way as it first responds to the headline NFP number and then just as rapidly the other way as the revision is then digested by the market. Another related fundamental indicator that can influence the forex market is the Unemployment Rate, which is more stable than the NFP number and comes out at the same time as part of the monthly Employment Situation or jobs report released by the U.S. Bureau of Labor Statistics. An unanticipated shift in the Unemployment Rate can result in even more volatility, with an upward shift in unemployment prompting traders to mark down the U.S. Dollar and a downward shift being considered good for the Dollar. Up/Down binary options can be used effectively to limit the risk involved in trading the volatile and thin markets often observed around the release of the Non-Farm Payrolls number. In such challenging trading conditions, binary option positions have the advantage of limited risk whether bought or sold. When bought, the risk is equal to the premium paid. When sold, the risk is equal to the binary option’s payout minus the premium received. In general, positions involving buying an Up binary option or selling a Down binary option would be used to take a bullish view on the U.S. Dollar, while buying a Down binary option or selling an Up binary option would be used to take a bearish view on the U.S. Dollar. For example, if a trader believed that the recent upward trend in the NFP data would continue for the current month, they could choose to purchase an Up or call binary option on the U.S. Dollar against another major currency like the Euro, Japanese Yen, Pound Sterling or Swiss Franc. If the NFP result was indeed better than the market’s consensus expectations, and the U.S. Dollar rose beyond the binary option’s strike price, then they could either sell back or exercise their binary option, probably for a net profit. On the other hand, if the U.S. Dollar fell after the NFP release, then their losses would be limited to the premium they had paid for the binary option. In/Out binary options can also be used to profit from the volatility commonly associated with the Non-Farm Payrolls number’s release. These boundary binary option types are both characterized by a pre-set range of exchange rates. If the market ends up inside that range, then the In binary pays out, while the Out binary pays out if the market ends up outside that range. In/Out binaries also offer a trader limited risk positions when either bought or sold. The risk on either type equals the premium paid when bought or the payout minus the premium received when sold. In general, positions involving buying an In binary option or selling an Out binary option would be used to take a stable and neutral view on the U.S. Dollar, while buying an Out binary option or selling an In binary option would be used to take a volatile and neutral view on the U.S. Dollar. For example, if a trader thought the NFP data would be substantially different from market expectations, they might buy an Out binary option on the U.S. Dollar against another major currency like the Euro, Japanese Yen, Pound Sterling or Swiss Franc. They would select a range that they felt the market would exceed by the option’s expiration and would pay a premium up front for the option. If the NFP result was indeed well outside the market’s consensus expectations, and the U.S. Dollar subsequently moved outside the binary option’s specified range, then they could either sell back or exercise their Out binary option for a net profit. On the other hand, if the U.S. Dollar was stable after the NFP release and ended up inside the specified range at the Out binary option’s expiration, then their losses would be limited to the premium that they had paid for the binary option. The hourly candlestick chart below for USD/JPY shows the jump in volatility as measured by the 20-period Standard Deviation shown in red in the indicator box below the exchange rate. The 2-standard deviation Bollinger Bands have also been superimposed over the exchange rate in blue to show how dramatic the exchange rate move was immediately after the August 3rd, 2012 NFP release at 8:30pm New York time.